Investment Management is under the supervision of our Chief Investment Officer. Our Advisors hold accreditations such as CERTIFIED FINANCIAL PLANNER(™), Accredited Wealth Management Advisor (™), Accredited Investment Fiduciary (™), or Accredited Asset Management Specialist (™). 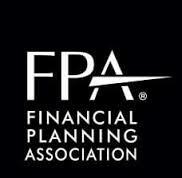 Further, our Advisors are members of leading professional organizations, such as the Financial Planning Association (FPA) (™) and National Association of Active Investment Managers (NAAIM) (™). 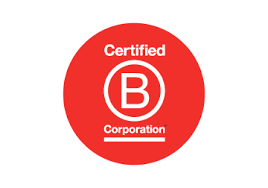 We are a Certified B-Corporation, and earned the Firm-Wide Fiduciary status from the Institute for the Fiduciary Standard; making it clear that our clients best interest come first. You can find out more about each of our Advisor’s Qualifications here. DeDora Capital implements your investment strategy with discipline. Led by our Investment Committee, we use a rigorous investment process that is customized to your personal risk tolerance, time horizon, and tax sensitivity. The wind can change quickly in financial markets. Operating accounts in a discretionary manner enables us to focus on actively implementing the client’s investment strategy, and also to respond promptly to the rapid changes. Broadly diversified and actively managed on behalf of our clients. Based on ongoing assessment of where we are in the Business Cycle. Include custom management of existing highly appreciated positions. Include investment of funds for individuals, trusts, IRA Accounts, Education accounts, as well as Charitable funds such as Scholarship Funds, Endowments, and Donor Advised Funds. We can invest in a broad variety of individual stocks, Exchange Traded Funds (ETF’s), Mutual Funds, Exchange Traded Notes (ETN’s), and Bonds. If we invest using a Mutual Fund, we utilize no-load Institutional or Advisor grade offerings. We seek to minimize investment costs, tax burden, and turnover. In addition to conventional investing, we also provide Socially Responsible Investment (SRI), Fossil-Fuel Divestment, and Fossil-Free Investment Strategies. If you are interested in aligning your investments with personal values, then we invite you to meet with us to review your account and develop a Socially Responsible Investment Strategy customized to you. We are clear with our clients about the honest debates within the environmental investing community, and implement actively managed, globally diversified investment strategies. Socially Responsible Investing is a rapidly growing part of our practice, and one that we are proud to engage in. Socially Responsible Investing is not for everyone, and we evaluate it on a case by case basis with our clients. In additional to retirement plan design, we can work with a Third Party Administrators and Recordkeepers to implement and manage small business retirement plans that are structured to your needs. 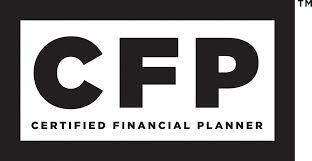 Common examples are 401k/Roth401k, Individual 401k, SEP, SIMPLE, Defined Benefit, and Profit Sharing plans.